At Sovereign Quality Custom Remodelers we want to make your remodeling project a pleasant and rewarding experience. We are committed to providing our customers with quality service, dedication and superior craftsmanship. Our skilled teams experience and attention to detail offers peace of mind for all your home improvement needs. We know that choosing the right company for a remodeling project is very important and at Sovereign Quality Custom Remodelers we want you to feel comfortable in knowing that you chose the right one. Whether you are wanting to repair or remodel your home, our company offers FREE consultations for remodeling design ideas. No job is too big or too small, at Sovereign Quality Custom Remodelers we provide all types of home renovations: bath, kitchen, hardwood flooring, custom cabinets, woodwork, crown molding, all types of interior and exterior remodelling and repairs. 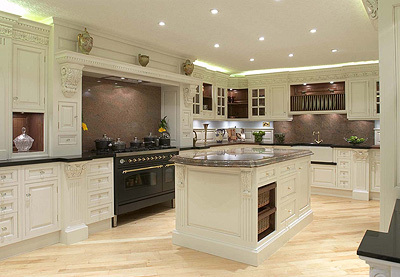 So if you are looking to remodel your kitchen or bathroom, renovate any part of your home, give us a call today. We are family owned and operated and have over 20 years of experience in the remodeling industry and strive to provide professional high quality work at an affordable price. 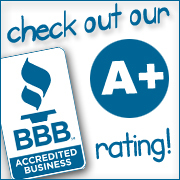 We are a We are a BBB "A+" rated Company and proudly serve The Woodlands Texas and surrounding areas such as Spring, Conroe, Magnolia, Porter and most of Montgomery County. Thank you for considering Sovereign Quality Custom Remodelers for your renovating needs. Give us a call today and set up an appointment for a FREE estimate.